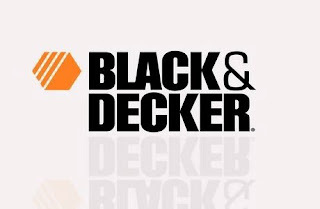 Black & Decker stock went soaring today after hours over 25%, when they released shorty after the markets closed that their rival company, Stanley Works, would be acquiring them. In an all stock merger, valued at $4.5 billion, Black & Decker CEO Nolan Archibald explained the reasoning saying, "The driving motivation of the transaction is the present value of the $350 million in annual cost synergies and the combined financial strength and product offerings of the merged companies." Slowly, but surely we will see more and more mergers and new acquisitions as we continue along this struggling economy. We are now several months into this recession, which for most businesses and consumers, has been a strong stress test on their reserves. Many people have been able to hold out for a year on emergency funds and expense cuts. But how about 2-4 years? I believe in 2010 we will see even more giants fall. The US government will still be looking to issue more debt in the coming quarter, however less than they had originally anticipated. The Treasury will look to issue $276 billion in debt for the 4th quarter of 2009, which is considerably lower than their initial estimate of $486 billion they made in August. However, don't think this is the end of government debt. 2010 Q1's estimate remains at $478 billion. This cut to the budget gives Congress some time to approve an increase to the $12.1 trillion total borrowing cap that is placed on the Treasury. We are currently flirting very close to that ceiling. We saw much more volatility in trading today, which is beginning to look a lot like fall of last year. As a result, options are beginning to look favorable once more. Last Friday's huge sell off, was one of the largest sell offs we've had in quite some time. In my opinion, we should see some very strong selling pressure in November, as year end pressures grow near. December is still yet to be determined, as many retailers are awaiting this hopeful "saving" holiday season to keep them alive for the next year. Unfortunately, 70% of our economy (the consumer) has taken a massive beating this past year. Thus, for me, not a good outlook on this year's holiday sales. Happy Trading. Lot of jobs will be lost in the merger. Prada well known an individual's reopening during the The italian capital retail outlet regarding Repent Royale making a picky exceptional copy during the famous Different Gucci Jackie bag, which happens to be arrange downright included in the wonderful e-book within the it-bag you'd like in the. fake cartier This valuable exceptional small copy is complete a great deal more highly sought after within the extremely little bit of individuals that this was initially constructed, this is mainly Half dozen. fake chanel coco Your unique Innovative Gucci Container Jackie was initially a better way meant for reinterpretation during the wonderful numerous evaluated ostrich overcast generated in mere 6 individuals. fake prada Above and beyond this specific version has long been accomplished by just a equally pretty, fake cartier whilst less worthwhile, all the way through man made synthetic leather at the same time overcast, rolex replica uk these days accessible in thirty individuals every one within the honours from your standing of some sort of different stainlesss steel denture when using the engraving "Paris Exclusive" and also successive assortment of the very bag.